Yesterday, the V&A Museum of Design Dundee announced its opening date and exhibition – Saturday 15 September and Ocean Liners: Speed & Style. 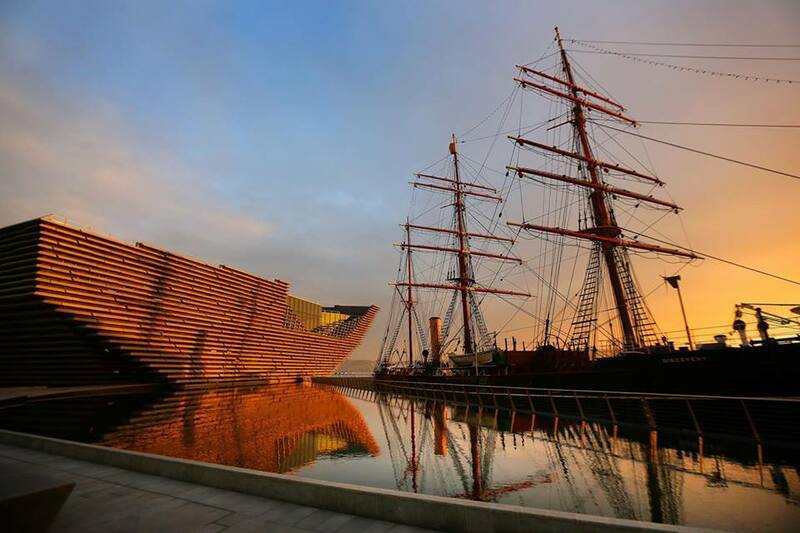 Given Dundee’s maritime history (along with whaling and ship building, the city is famous for Robert Falcon Scott’s antarctic exploration aboard the RRS Discovery, which is now docked beside the V&A) it’s not a great surprise that the first exhibition has a link to the sea. But the title of the exhibition is the interesting part. ‘Speed and style’ gives a clear impression that this isn’t just a trip down memory lane, but, rather, a look at the sheer capacity and power of huge vessels and the mechanical engineering behind them, along with the glamour associated with travelling by sea – yes, it will cover the ‘golden age’, but it’s also sure to inspire a surge of cruise bookings in an attempt to live – and feel – the glamour of travelling by sea. It’s really an exciting time. The city is well deserving of its kudos as the ‘place to be in 2018’ but it’s fair to say that the V&A is the pinnacle of this. Regardless, I couldn’t be more proud of our city.